So these recommendations on best waterfalls to see in Laos can make your time there more memorable. Tad Fane waterfall, one of the tallest waterfalls in Southeast Asia, is located within the Dong Houa Sao National Protected Area of Champasack Province. 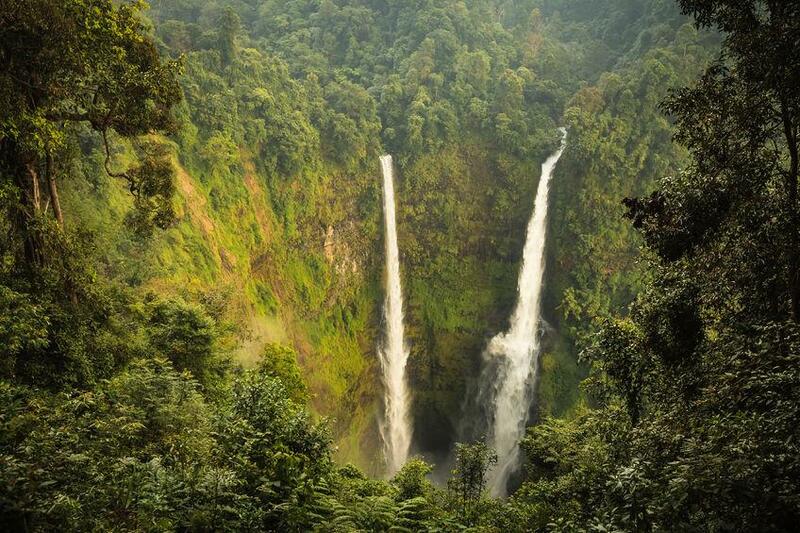 The 120m high waterfall is at the confluence of Champi and Pak Koot river. The magnificent beauty of this waterfall deprives from its two white separate flows of water pouring over the very steep rock face. You are highly recommended to spend a day trekking under the help of a local guide. Then swimming can also be a fun experience. Tourists usually access to the area by tuk tuk or bus. Kuang Si Waterfall is about 30km away to the south of Luang Prabang. The streams fall to a pool, creating a fantastic place for local as well as tourists to swim. But if you are not interested in swimming, sitting under the shade around can be so enjoyable. 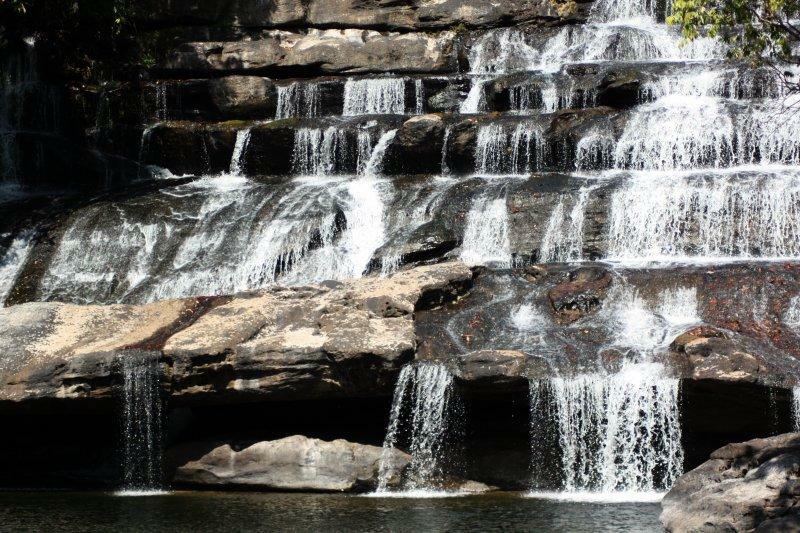 Moreover, tourists can follow trails to climb up to the top of the waterfall, promising to offer you spectacular views. The best way to reach there is by motorbike. You can hire one and ride yourself there, an easy way to enjoy scenic villages along the route. Another magnificent waterfall shouldn’t be missed is Tad Leuk, also in the Phou Khao Khouay National Protected Area. Tad Leuk is a good destination for trakking, camping and even swimming. 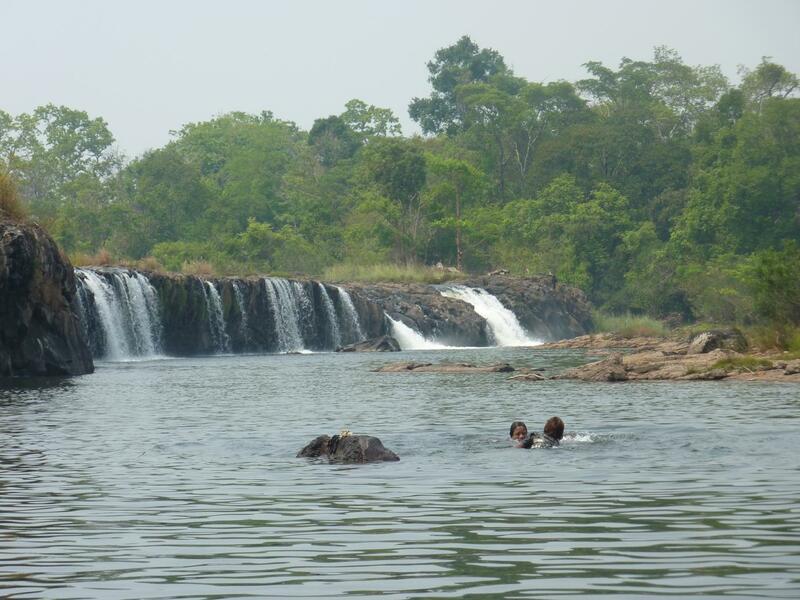 But like other waterfalls in Laos, there is not much water in the dry season. While in the rainy season, the area will be noisy by the sound created from the run of water over the 6m high cliff. Tad Leuk waterfall during rainy season – Source: Internet. 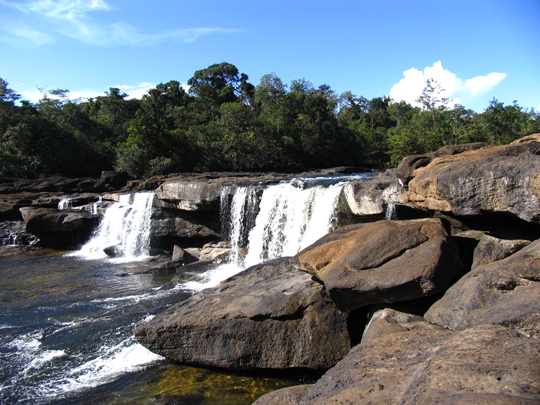 Khone Phapeng waterfall is known as the pearl of Mekong in Laos with several distinctive features. Firstly, it is the largest waterfalls in term of length (almost 10km) and water volume in Southeast Asia. Secondly, Khone Phapeng is unnavigable for area due to its wild and powerful run. But the flow becomes much more peaceful when entering Cambodia and Vietnam. 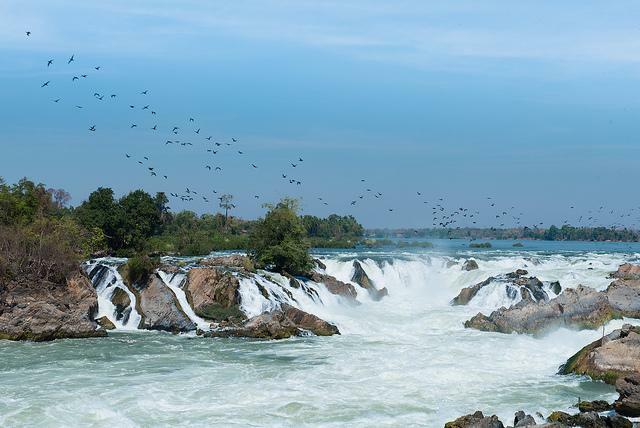 Interestingly, this thundering waterfall inhabits the famous Irrawaddy Dolphin, aka Pah Kha. If you like to see favorite waterfall of the local, Tad Hua Khon is a good choice. Tad Hua Khon is somehow like a weekend destination for Laotians who like picnicking due to its tranquil water. The 10m high level of water is nice for people to swim. However, it will be better not to reach the other side of the fall. There is an old story that during the World War 2, Japanese used to cut off Laotian soilders then throw into the fall, therefore, Tad Hua Khon is also known as the “waterfall of heads”. Despite the scary-sound story, local people still happily swim and play at this beautiful fall. 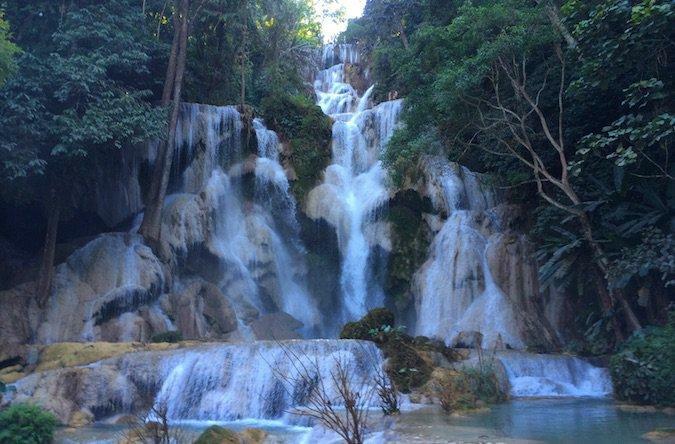 So these are some wonderful waterfalls worth you visiting in Laos. Check them out on planning a nature-returning trip in this beautiful Asian country.